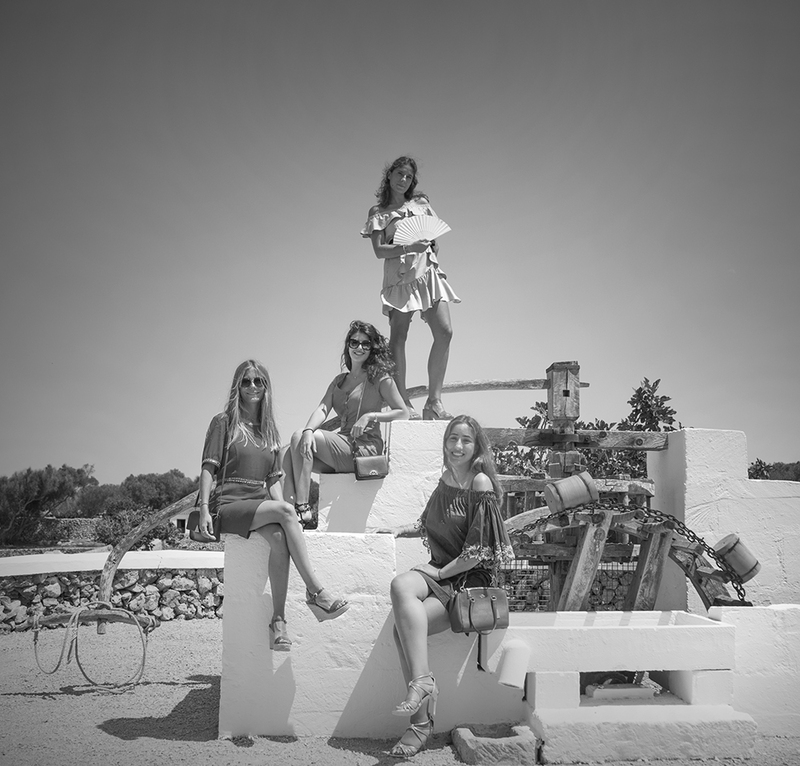 We were back at the rural Hotel Sant Joan de Binissaida on the island of Menorca to photograph a Parisian couple who had chosen the island for their special day. This was the largest wedding party we had photographed with one hundred and seventy guests. Before the reception at the hotel, the wedding party gathered at the church in Sant Lluis where the Catholic ceremony took place. 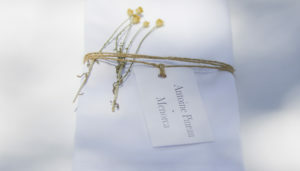 We then had the pleasure of photographing all the exquisite details of this tasteful wedding. The place names, the dress, the canopes…everything…too many to list here. Hopefully the photographs will demonstrate exactly what we are trying to convey with our description. Binissaida is one of a handful of places that deliver uncompromising quality when it comes to delivering the best in food, service and venue. 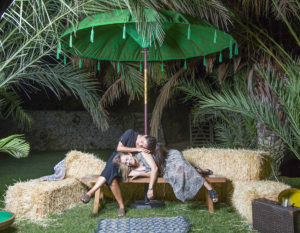 Although the hotel can only sleep around twenty four guests in their twelve bedrooms, the grounds and kitchens fed one hundred and seventy guests at this wedding. Under the canopy of pine trees on the lawned area by the pool, some of the best food on the island was delivered. The head chef here has two restaurants in Mahon. Ses Forquillas near the esplanada and El Rais on the port. The food at all three venues is exceptional. After the heat of the day had passed, a private villa was hired near Torret. Huge pans of paella, cured hams and empanadas were served in addition to cocktails to get people fuelled up for a 4am finish. 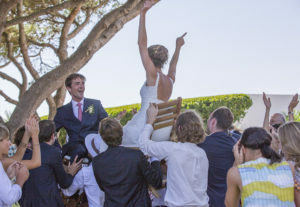 All this was orchestrated by Anna at Menorca Wedding who delivered on every score for the largest wedding party we have photographed in our fifteen years photographing weddings. 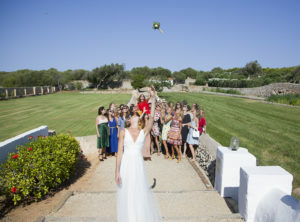 To get the help you require in organising a special day on the island of Menorca then click through to Menorca Wedding.